NOTE: Please contact us via eBay message before place order,as not every colour is always avaliable. And please left colour reference via message while you place order. The Babycook® makes up to 1 100 ml of food in a sleek, patented countertop appliance that steam cooks, blends and reheats/defrost all-in-one, in 15 minutes or less. Refrigerate or freeze leftovers, then simply defrost and reheat right in the Babycook®. Steam cooking locks in vitamins and nutrients, a multi-purpose mixing blade provides just the right texture, the timer has an audible alert to tell you when meals are ready, and all of this with total one-handed operation. This appliance is loaded with features that make any parent a pro in home-made balanced baby food preparation. It is also possible to collect cooking juices (rich in vitamins and minerals) from the bowl to control the texture of the preparation. Babycook® allows you to easily cater for every feeding stage from puree to chunks. 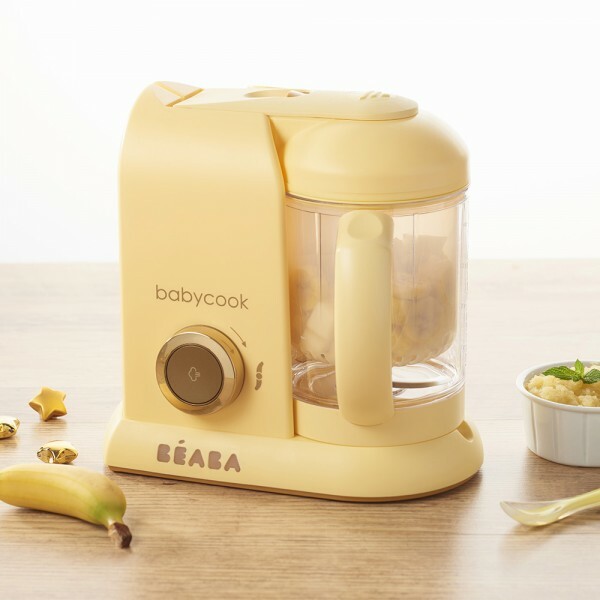 Tip: Also use your Babycook® after baby has grown to cook any purees or blend your sauces! Product maintenance: Wash accessories by hand or dish-washer. Clean the device with a soft damp cloth. Do not immerse. Descale using half water / half white vinegar in the tank or Babycook® descaler.